AirPods are wireless headphones that use an Apple-developed W1 wireless chip that provides high-quality sound. Apple's wireless earbuds pair with devices quickly, making phone calls crystal clear. They are absolutely amazing: just open up the case and put it next to your iPhone and you’ll see that it automatically pairs. But did you know that you can use your AirPods with many other Apple devices? Apart from the crystal clear sound, AirPods can bring you many benefits. Just for the record, after pairing them with an iPhone, iPad or Apple Watch, you can access Siri to ask questions, get location data, make requests, answer calls and more, using their AirPods. 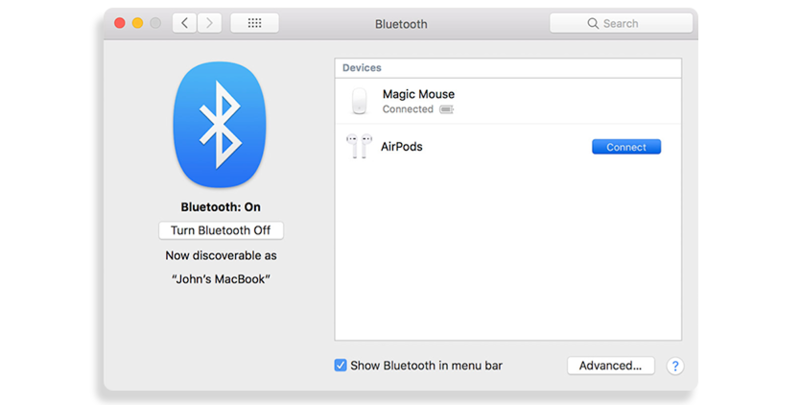 Are you now wondering how to connect AirPods to other Apple devices? Don’t worry, it’s not that difficult. We will tell you how to pair your AirPods with Mac, Apple TV, Apple Watch, and iPad. So, let’s review each of them separately. Select AirPods from the list and hit Connect. If you decide you don't want to use your AirPods with your Mac anymore, you can unpair it just like any Bluetooth device. Pay attention to the fact that unpairing from your iPhone automatically does the same with your Mac, but unpairing from your Mac does not affect your iPhone. Click Remove once more to confirm. 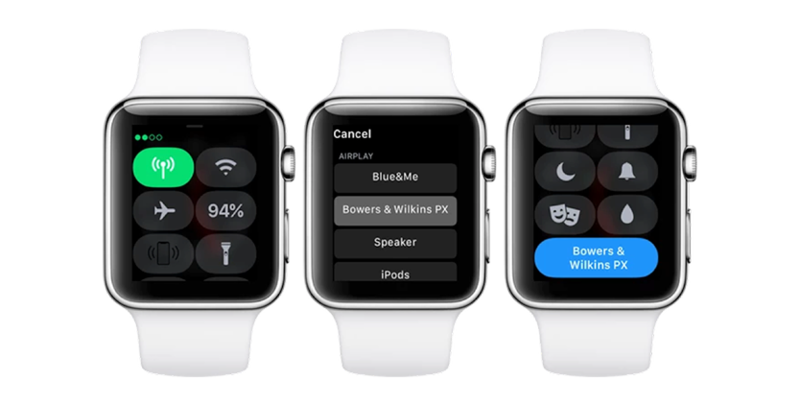 Go to Settings and select Bluetooth on your Apple Watch. Ensure that your Bluetooth headphones are on and are in pairing mode. Hit Confirm and wait till your Bluetooth headphones become paired. 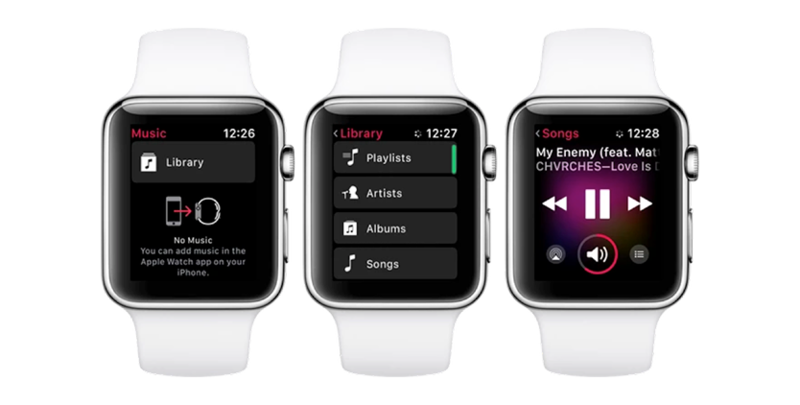 Go to the Apple Music app on your Watch, tap Library and choose your music. From here, your Apple Watch will go ahead and begin streaming music over its LTE or Wi-Fi radio, independent of your iPhone. On Apple Watch models supporting LTE, you can even stream Apple Music radio stations such as Beats 1. If you don't want to use your AirPods with your iPhone or iPad anymore, simply unpair them. MacUpdate reminds you that unpairing from your iPhone automatically unpairs AirPods from your iPad (and Apple Watch and Mac), but unpairing from your iPad only unpairs this one device. Go to your iPhone, tap Forget this Device again to confirm iCloud removal on other devices. Now that you know how to pair your AirPods with your Apple devices, you can also pair your AirPods with Android, Windows and other devices. 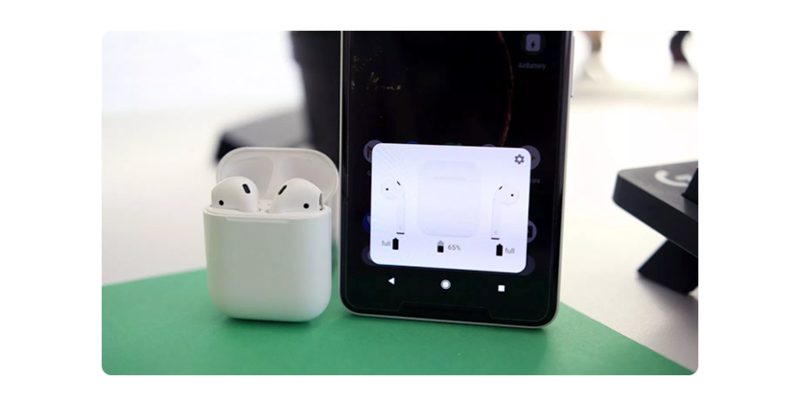 The procedure for pairing your AirPods with your Android phone or tablet, Windows PC or tablet, or any other device or gaming system, is the same as pairing any set of Bluetooth headphones. By the way, if you are experiencing some troubles with pairing AirPods automatically and can’t connect them manually, a popular issue you could be facing is the AirPods frequently renaming themselves. Consider this: AirPods revert to the default “FIRSTNAME’s AirPods” name every time you switch them from your Apple TV or Mac back to your iPhone. The same thing happens if you put them in the charging case. 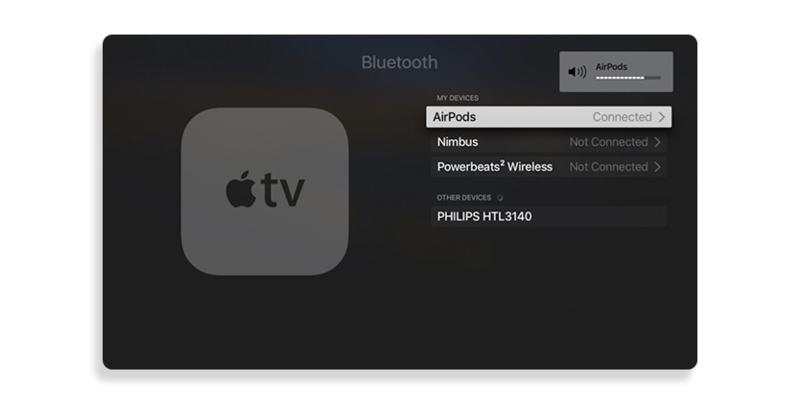 While your Mac and Apple TV keep the “AirPods” name, the earbuds automatically revert to “Chris’s AirPods” as soon as they re-connect to the phone. 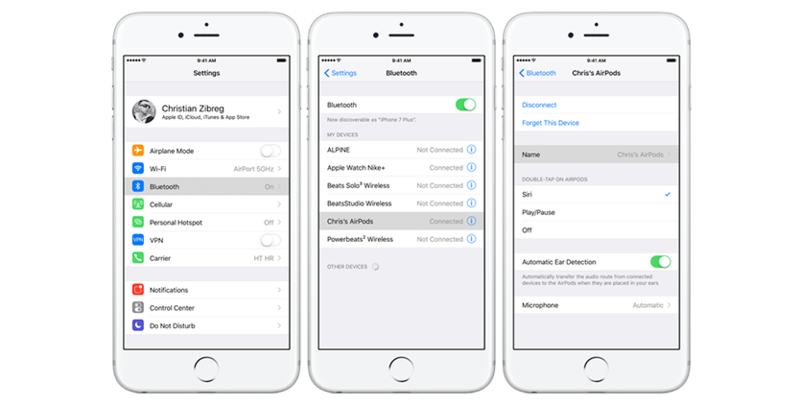 Be sure that your AirPods are paired with your iOS device and connected. On iOS, you can connect to any of your paired wireless headphones in Control Center: swipe your way to the Now Playing card and select your AirPods in the audio output menu at the bottom. Tap Done to save the changes. With the earbuds connected to the computer, right-click them in the list and choose Rename from the popup menu. AirPods are great as they can deliver crystal clear sound experiences. The other great thing about AirPods is that they can be used not only with your iPhone but with other Apple devices. 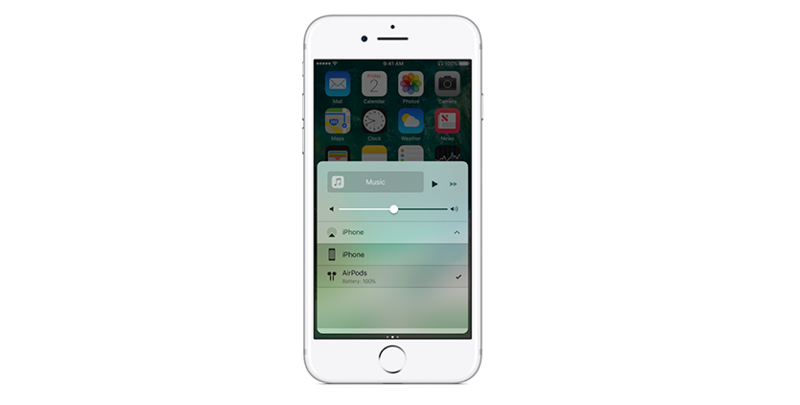 By default, AirPods pair with your iPhone and other Apple devices automatically. But in some cases, especially if you are pairing your AirPods with other devices for the first time, you might need to do it manually. MacUpdate has told you how to do this in the blink of an eye. What about you, do you use your AirPods only with iPhone or with other Apple devices as well?